When the 2016 AFC Women's Rio Olympic qualifiers schedule was released last year, Professional Footballers Australia player relations executive Kathryn Gill slammed the tournament scheduling as "disgraceful". Australia are one of six Asian Football Confederation (AFC) nations scheduled to play five matches in ten days in late February and early March, with the two best sides qualifying for the 2016 Rio Olympics. The punishing schedule has drawn the ire of the PFA and Gill, a legendary figure in women's football - scoring 41 goals in 86 matches for the Matildas - said it was unacceptable. "It is bad for football to be pushing through this many games in such a short period of time." "It greatly increase the risk of injury and will damage the quality of football the players are able to play." "It's disgraceful and shows just how much care there is for women who play this game at the highest level." As women's football embarks on 6 weeks of Olympic qualifiers across the globe in Asia, North America and Europe, it is clear that the scheduling of matches for Olympic Qualification is gruelling almost across the board - for men and for women. Here is what the qualification schedule looks like across the confederations for both genders. The qualification process for the 2016 Rio Olympic Games is a gruelling one all across the world. While the process for the women in Asia is the shortest and most packed, many others are not far behind with CONCACAF also setting down a similarly exhaustive schedule. The difference between the two federations is the strength of teams participating with the average ranking in Asia at 14 (with 5 out of 6 nations in the Top 20), while for CONCACAF it blows out to 51.3 (with 2 teams in the Top 20). Granted qualification is also taxing for the men's teams but the reality is that it is disproportionately arduous for women's teams. Women's teams who generally will have much less preparation time, less facilities, funding and staff allocated to them by their federations for tournaments. In basically every confederation, the women's tournament, usually due to reduced resourcing, are playing more matches in fewer days. “Women who play football deserve a lot more respect than they are currently afforded by the game’s authorities," continued Gill. Scheduling aside, the 2016 AFC Olympics Qualifiers is a critical tournament for the Matildas. 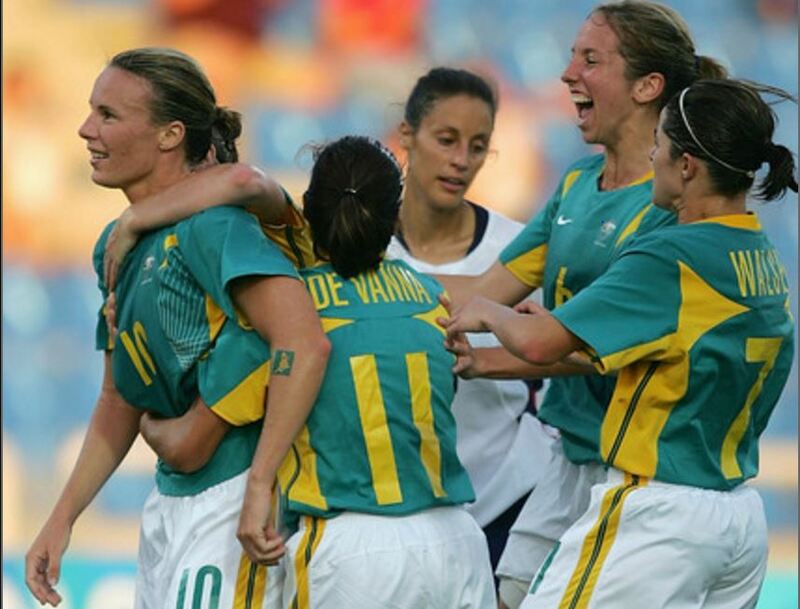 While Australia has been performing consistently at World Cup level, the Matildas have not qualified for the Olympics since Athens 2004 - coinciding with Australia's 2005 move into the AFC. Asia is women's football's second strongest confederation. "It's tough," said Matildas co-captain Lisa De Vanna on SEN last year. "I think it's tougher than the 'Group of Death' at the World Cup." A veteran of two disappointing Olympics Qualification attempts, the 31-year-old is well versed in the trials of qualifying through Asia. "Purely because we are playing four top teams in Asia. They are good quality teams and they are not teams that you can walk in and feel comfortable. You have to work and earn a spot." Olympic qualification is vital for the Matildas for many reasons. Firstly, qualification would almost double their budget for 2016 with support coming from the Australian Sports Commission and Australian Olympic Committee. More funding, consequentially, means for matches and the ability to continue to take on high quality opposition. Secondly, the Olympics will provide more mainstream attention to the Matildas. While great strides were made during the 2015 FIFA Women's World Cup, since then there has been little activity or promotion of the team outside of football circles. The 2016 Rio Olympics, a multi-sport event watched by a cross-section of the Australian public, would provide incredible awareness of a growing brand. One of the issues for the Matildas is that a lack of regular matches means the public interest in them ebbs and flows. A Rio Olympics run gives sustained coverage and hopefully promotion. The team has already seen the benefits of an association with the Olympics following the Seven Network's broadcasting of the Olympic Qualifiers. Former Matildas captain Melissa Barbieri has stated it best when there was a discussion on regular Matildas camps during the W-League season. "The repercussions of not qualifying are far greater than having a couple of sore players in the W-League on the weekend." Taking on so many world class teams in a short space of time is taxing said Barbieri, who led the team through the process in 2011. "It's the way we did it last time," she remembered while speaking on the Daily Football Show. "That's just ridiculous for me." "You have to play every second day so not only your 'A' team needs to be on track, you need to have a 'B' team there to perform just as well as the 'A' team." In preparation, Alen Stajcic has had regular 4 day camps during the W-League season, 2 tours (one to China and one to South Korea) and will have three 5 day camps (in Sydney and Canberra) before departing for Japan later this month. "It's a different challenge because there is a lot at stake here," said De Vanna on the preparations. 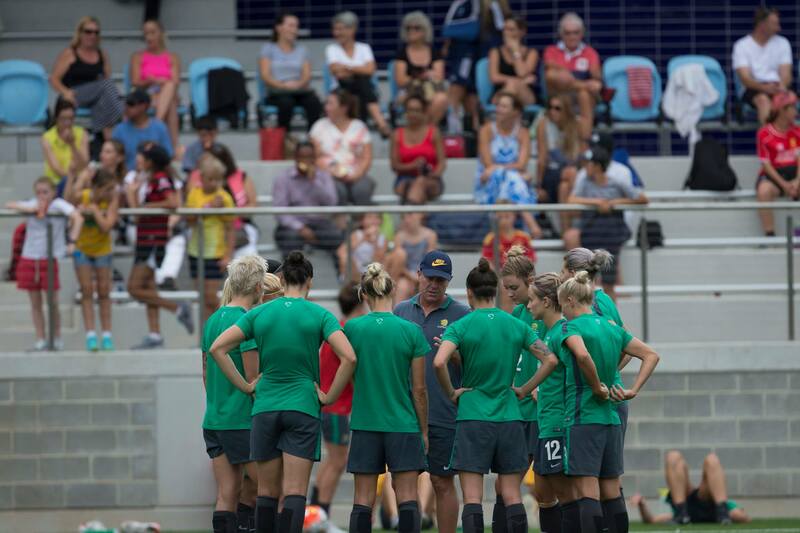 "Only two spots and to do it in 10 days, it is the biggest challenge this Matildas team has to go through with the quality of players that we have." Barbieri wholeheartedly agreed. The now retired goalkeeper had been critical of Australia's 2011 Olympic Qualifiers campaign - her last. The campaign was on the back of the 2011 FIFA Women's World Cup, following which the players were given a break. The result was that many of the senior players felt the team wasn't ready for the first match against DPR Korea, a match that ultimately cost Australia a place at London 2012 as they finished in third place. "We have to remember that every time we go to do something that is off topic, off project, if we are not 100% focused, you don't want to slip at the final hurdle again," stated Barbieri. "You can't have you qualify for an Olympic Games without that tough training in Canberra once a month. If we don't do that, we don't qualify." "That gruelling schedule is how we got ready for the World Cup and how we were so good." While the path could be better, in the end five other nations have to tread that same path. Australia is better prepared than most and Barbieri believes that the hunger and the drive is what will see the Matildas through this time around. "I have no doubt that he Matildas will qualify for the Olympics. No doubt whatsoever." "The only difference will be mindset."